Molaei, B. (2014). The Analysis of Things Which influence on Garlic Product’s Income in Zanjan Province. International Journal of Advanced Biological and Biomedical Research, 2(4), 940-945. Babak Molaei. "The Analysis of Things Which influence on Garlic Product’s Income in Zanjan Province". 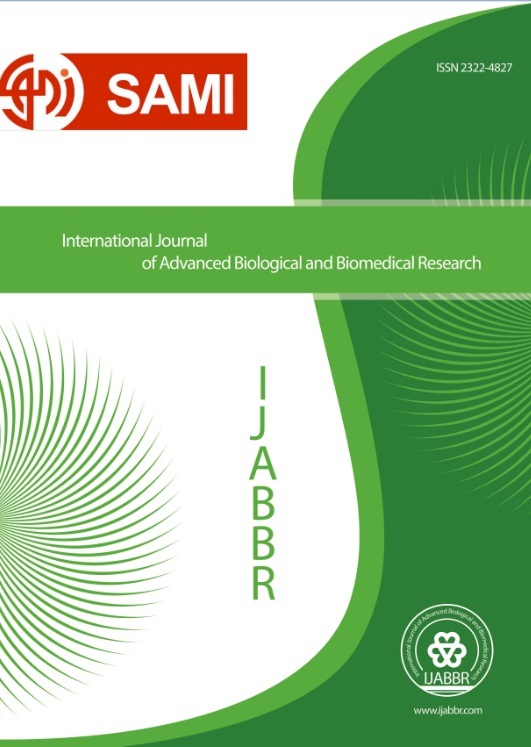 International Journal of Advanced Biological and Biomedical Research, 2, 4, 2014, 940-945. Molaei, B. (2014). 'The Analysis of Things Which influence on Garlic Product’s Income in Zanjan Province', International Journal of Advanced Biological and Biomedical Research, 2(4), pp. 940-945. Molaei, B. The Analysis of Things Which influence on Garlic Product’s Income in Zanjan Province. International Journal of Advanced Biological and Biomedical Research, 2014; 2(4): 940-945. Garlic is one of the export crops which has a global reputation in terms of taste and quality. Zanjan province produces 23 percent of total garlic crop of Iran and is one the hubs of garlic production in the country. Effective factors on marketing of garlic is not well studied in this province. Therefore, the main purpose of this study is analysis of factors affecting marketing of garlic in zanjan province. Data was collected through a questionnaire validity of which was approved by a panel of expert and its reliability was measured by computing cronbach's alpha coefficients (α= 0.81). The statistical population of this study consisted of garlic growers of Zanjan province (P= 1250) among which 115 grower were selected through stratified proportional sampling. Results revealed that customer satisfaction and crop quality were effective on marketing of garlic. Furthermore regression analysis showed that variables of household size, farmers' knowledge, agricultural experience, age, area of cultivated land, and the number of services or operations have done on garlic had a significant effect on garlic marketing obstacles. Regression analysis for the other dependent variable i.e. price of garlic on wholesale buyers' center revealed that garlic production cost, market oriented marketing, the cost processing garlic, accessing loans and total frequency of garlic are significantly effective on this variable. Assadi, Hadi (1386). Obstacles of Citrus marketing in Mazandaran province. Zeitoun quarterly. No. 63. pp. 23-45. Hassanpour, Bhram (2000). Investigation of grape marketing obstacles, a case form Kohgiluyeh and Boyer-Ahmad Province. Proceeding of third congress of Iranian agricultural economics. Hort, R. (2006). Effective management factors on Crop production. M.Sc..Dissertation, Gurtenbauzentrum west foolen Lippe University, Germany. Iranian agricultural economy research (2009). Study of Iran's agricultural crops: a case study of garlic market. Tehran. Iranian ministry of agriculture (2011). Statistics and information of agricultural crops in Iran and the world. Department of plant production, cold and temperate fruits office. Mirzaei, (2007). Economy of agricultural markets. Isfahan. University of Isfahan publications. Torkamani, Majid (2006). The effect of inputs consumption on production risk: Application of generalized random production function. Iranian agricultural Journal. No.11. 33-34pp.